I had the personal pleasure of attending the Innovation and Humanities Summit in Orange, CA hosted by Glenn Llopis the author of Earning Serendipity. I can personally vouch for the fact that this author is a man on a mission. The program assembled some of the most incredible thought leaders of our time, and author Glenn Llopis is to be included in this esteemed crowd. In my interview with Glenn we discuss his new book entitled, “Earning Serendipity“, which is about how you can claim your control over your prosperity. As Glenn states, progression along the path is the result of a rare combination of skills that you can develop and apply in your career, business and life. Seeing with circular vision: Which is the ability to broaden your observation beyond what you seek and beyond the obvious details before you, and enlarge your field of opportunities. Sowing Entrepreneurial Seeds: When good vision is met with consistent, hand-dirtying execution every day, the result is a stable, growing fortune;focus on proper timing and proper depth. Growing Seeds of Greatest Potential: This is when we learn how to recognize the most promising opportunities and give them the right amount of attention; don’t let the best opportunities wilt and don’t waste energy on opportunities with limited potential. Sharing the Harvest: When you focus on meeting others’ needs to improve personal good fortune; make generosity part of your purpose, an integral part of the DNA of your career or company. 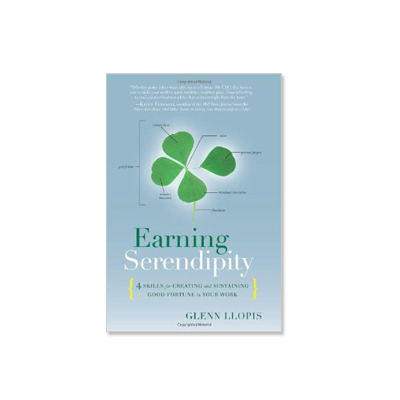 If you would like to learn more about Glenn and this great personal growth and mastery book, “Earning Serendipity“, than I recommend that you visit his website by clicking here. 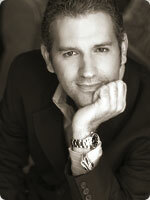 Glenn’s website is rich with resources and videos to help the reader learn more. You can also take his Workplace Serendipity Quiz the results of which will determine your propensity for creating and sustaining good fortune in your life.